The cool temperatures of the 2015 golf season have been downright perfect (of course that is the opinion of a golf course superintendent). Now, if we’re talking about precipitation, it’s a whole other matter…I don’t need to remind everyone that we’re in the midst of one of the wettest years ever in the Chicago area. Up until this past week we’ve used the automatic irrigation system a total of 1 time. But lately, as temperatures have warmed and dry conditions now are common, the water system is running almost every night. As August gets under way, mowing frequency of the high play areas has slowed substantially. 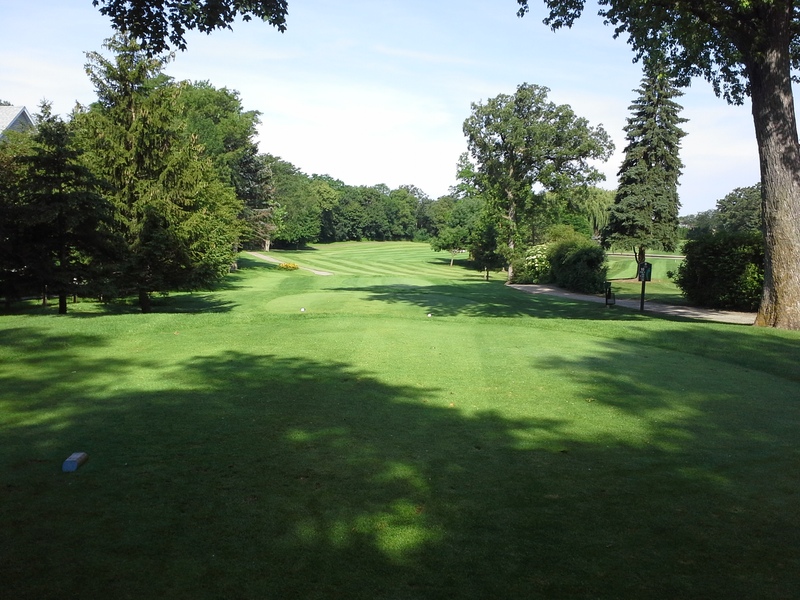 In June, the primary rough (areas bordering fairways) was being mowed several times per week…now it’s once if at all. So, in what was becoming known as “the year of cart path only”, we’ve at least been able to allow golfers to drive on the grass lately. 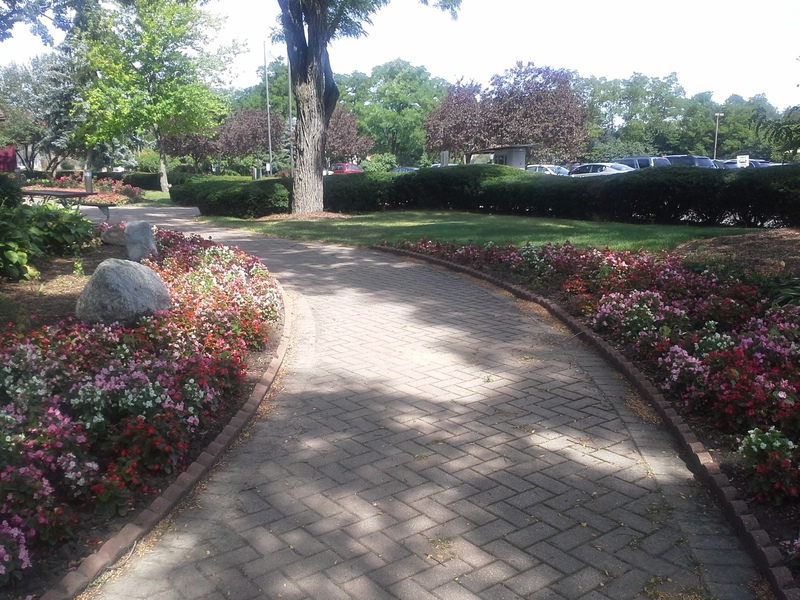 It has been a weird year regarding our annual flower beds…the flowers that like a lot of moisture obviously look good. On the other hand, those that don’t such as petunias, leave a lot to be desired. Forgive me please if I don’t show our Easy wave petunia bed. As many of the regulars know, Rosa Castro (Hilldale’s excellent gardener of many years) retired following the end of the 2014 season. 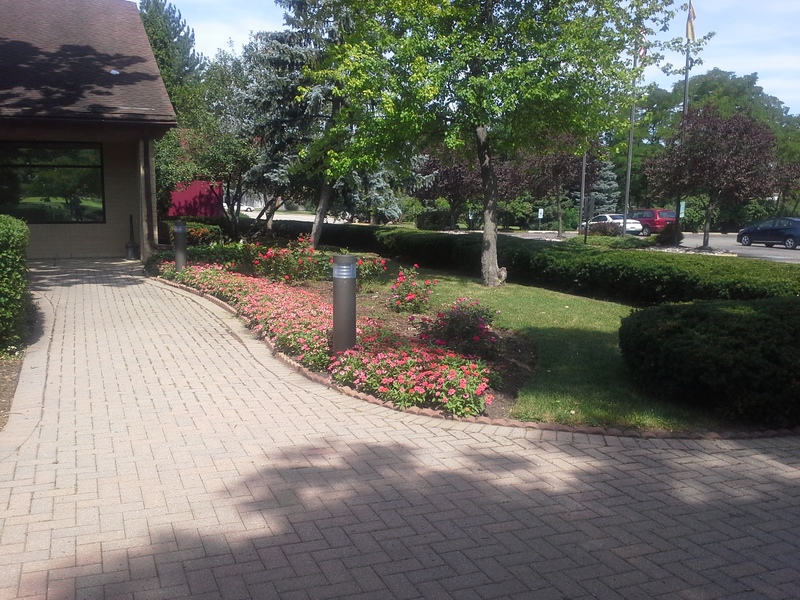 Well, even with a group effort this year, we still miss Rosa’s great landscaping touch. “Hope you’re enjoying retirement Rosa…we miss you”. 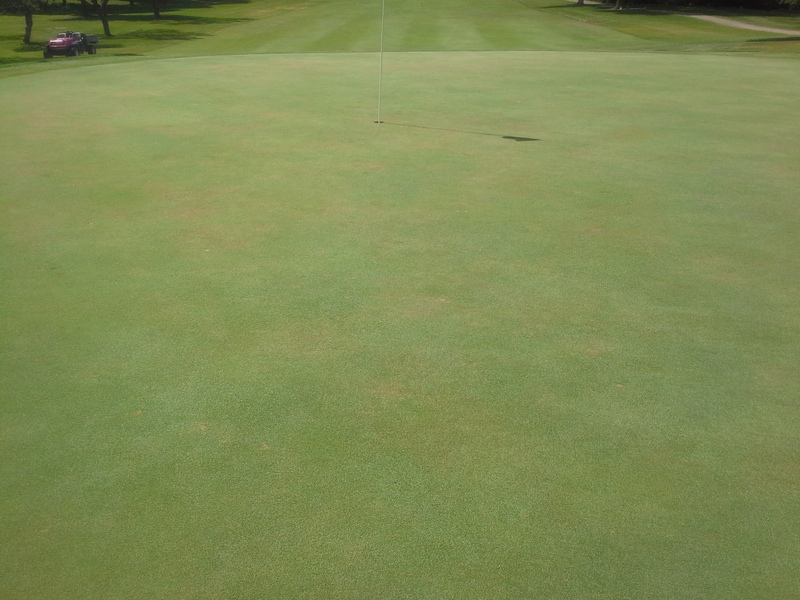 Several golfers have mentioned that the greens are very firm lately. I talked about the lack of rainfall earlier in this post, but I will say that “firm” is definitely preferable to “soft” where high quality greens (smooth ball roll, good plant health etc…) are concerned. As temperatures cool and turfgrass disease pressure eases, we’ll be a little more judicious with the amount of irrigation water applied. I hope everyone enjoys their time at Hilldale and thanks for visiting us! This entry was posted on Tuesday, August 4th, 2015 at 10:54 pm and is filed under Uncategorized. You can follow any responses to this entry through the RSS 2.0 feed. You can leave a response, or trackback from your own site.